In this guide, we outline what Hatch Invest ('Hatch') is, its features, fees, FX conversion rates and how it differs from other overseas share purchase platforms. We also look at whether it's safe to invest in given its recent entrance to the market, as well as compare it to established alternatives such as ASB Securities and ETF platforms like InvestNow and Sharesies. Who is Hatch Suited to? Hatch started in 2018 – can I trust it and is it safe for me to invest? Please note: MoneyHub is not a Financial Adviser, and this guide has been published to explain Hatch and outline the pros and cons of the platform as an investment option. Easy to use interface, with 3,000+ investment options in the US market. Option to buy partial shares, for example 0.65 of one Google share, or 0.40 of one Apple share etc, as well as buy/sell shares in whole dollar amounts. For example, buying $10,000 in Amazon which translates to 6.1350 shares. Data for NZ tax obligations for any investment under $50,000 is prepared by Hatch, allowing customers to complete their income tax return efficiently. Much lower FX fees and brokerage commissions compared to industry leaders ANZ Securities and ASB Securities. Limit orders - you can buy shares at a set price or set an alert to when the share falls to that level. Hatch lets you enter the exact number of shares you want and the price you want to pay for them (e.g. 5 shares at $50 each). If the market price matches yours, or goes lower, your order will be filled. No app - Hatch has stated they will develop one if there is demand, but right now clients will invest via the website. No joint-accounts or trust accounts offered (Hatch has informed MoneyHub that this feature is coming before the end of 2018). No other foreign markets offered (i.e. UK, Germany, Australia). Good Faith Violation rules (read the policy here) limits any day-trading or inter-day trading. If you sell one parcel of shares and buy new shares on the same day, you must wait at least 3 working days before selling them due to the cash being 'unsettled'. 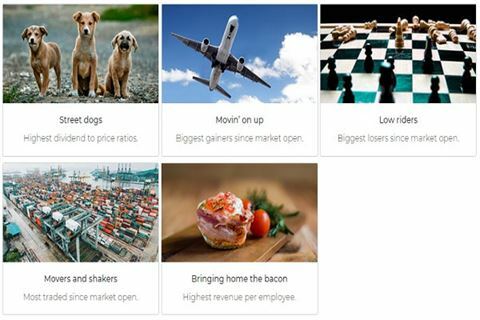 No hedging options - unlike many ETF investments available through Sharesies, Superlife, InvestNow or Simplicity, Hatch does not provide any foreign currency hedging. This means if the NZD goes up against the USD, and all other things being equal, the NZD value of an investment will be less due to the USD being worth less. ​Hatch offers a tremendous number of options for exposure to US shares and ETFs, unrivalled by any other New Zealand-based platform. The platforms works best for serious investors - anyone investing US$10,000 will pay as little as 50 pips (or 50 bps) in FX fees to initially fund their Hatch account with USD, and then a nominal US$8 brokerage fee per trade. Investors will need to plan and have available funds ready in advance to buy shares or ETFs - foreign currency translations only happen twice a day; instant funding of an account is not an option. There are no custodial fees for investments and you won't pay any account management fees. Many New Zealand investment platforms and fund managers limit access to unethical investments - Hatch has no such limitations. No target price selling - Hatch is more of a 'log in and buy or sell' type platform. So if you want to automatically sell shares when the price reaches a certain level (known as a 'target price'), Hatch does not allow this. Instead, you would need to monitor the price yourself manually, or set up an alert with another website (i.e. Market ATP) to prompt you to log in to Hatch sell the shares. Limited performance graphs - while Hatch helpfully offers a performance graph of each investment option, there is not the ability to see the closing price on a specific day with accuracy (unlike Yahoo Finance and Google Finance, which both let you hover and know the exact price). Best For: Investors looking for direct exposure in the US markets with specific shares or ETFs not otherwise available to New Zealanders via InvestNow or SmartShares. ​Not suitable for: Passive investors making small purchases ( anything less than NZ$1,000) as the FX and brokerage fees can be as high as ~4% on such investments. 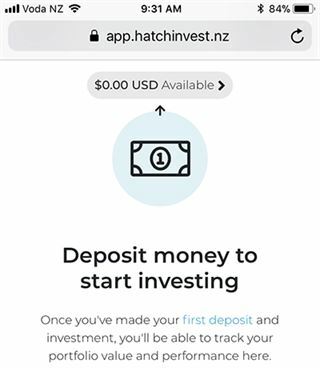 Hatch charges two fees - a brokerage fee (for the purchase or sale of shares and ETFs) and an exchange rate fee (for converting NZD into USD to fund your account, and from USD to NZD when withdrawing money from your account). US$8 to buy or sell shares. If more than 400 shares are traded, an additional US$0.02 fee per share is added. US$3 to buy or sell a fraction of a share. 2. Hatch’s exchange fee is 50 bps or 50 pips. Investor A wants to buy NZD 1,000 in Walmart shares, priced at USD 100 each. Investor A transfers their NZD to their Hatch account when the interbank NZD:USD exchange rate is 0.70. The investor receives 0.695 USD per NZD (deducting the 50 pips/bps) and receives USD 695.00. Investor A then puts an order in for Walmart shares with the available balance. The brokerage fee of USD 8 is charged for the purchase, and Investor A receives 6.8700 Walmart shares (valued at USD 687.00). When Investor A wants to sell the shares they will pay another USD 8 for brokerage. The USD value will then sit in Investor A's Hatch balance. If and when Investor A wants to convert the USD balance back into NZD (as opposed to re-investing it), there is a fee to do this. If the interbank NZD:USD exchange rate is again 0.70, the investor will have the balance transferred at a rate of 0.705 (adding 50 pips/bps). For a parcel of shares valued at USD 700 this would calculate to be a NZD 8 fee). 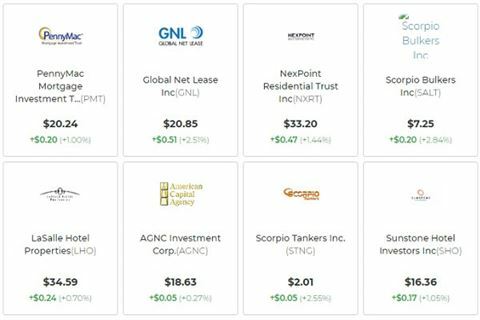 Hatch investors ultimately benefit from economies of scale - the higher the value of an individual share purchase, the lower the brokerage fees are proportionately on the share parcel. Drive Wealth, Hatch's brokerage firm, charges USD 2.99 per trade - MoneyHub believes the USD 5.01 difference is added margin Hatch collects. Hatch is open to anyone over 18, residing in New Zealand as a tax resident and holding either a New Zealand passport or driver’s license. A recent bank statement is also required to verify an account. Hatch complies with US and New Zealand law by asking for a number of personal details, specifically your employment status, annual earnings, how much you expect to invest, and how frequently you expect to invest. Once Hatch verifies your information, your account will be approved (usually the following business day) and you can deposit money. Hatch only accepts bank transfers - customers deposit New Zealand dollars to a Hatch trust account where they are exchanged into US dollars. No balances are held in NZD. The exchange rates are made clear before you transfer any money - we talk about fees below. Hatch exchanges money twice a day, Monday to Friday, between 9am - 9:30am and 2pm - 2:30pm - so if you deposit on a Friday after 3pm, you'll wait until the following Monday for the money to convert into USD. Once your Hatch account has received the US dollars, you can start investing. Conversely, if you want to withdraw money out of Hatch, because the balance is in USD it can take up to 3-4 days if you miss the daily exchanges between Monday and Friday. Hatch will otherwise exchange the money within 24 hours and deposit it into your NZD bank account. The US share markets open between 9:30am - 4pm Eastern Time (1:30am - 8am NZ time in summer and 3:30am - 10am in winter). Purchasing shares is straightforward; click on the share or ETF you want to buy, enter the quantity and confirm the order. Once the order is processed and you own the shares, brokerage fees are deducted. When you place an order, Hatch estimates how many shares you’ll get. If the share price changes before your order is completed, the number of shares you end up with might be different. For this reason having a buffer balance to avoid a rejected purchase if the price and quantity of shares exceeds the money available. If you place an order for shares when the US markets are closed it will be processed when the market reopens. The closing price today may not be the same as the opening price tomorrow given market factors so you may receive more or less shares than anticipated. Hatch offers a Transaction History report which gives you details of every deposit, withdrawal, and order. It also shows you every fee you’ve been charged, including tax reporting fees. Hatch works with two partners, DriveWealth (a US-regulated broker-dealer) and World First (an Australian-based currency exchange provider). 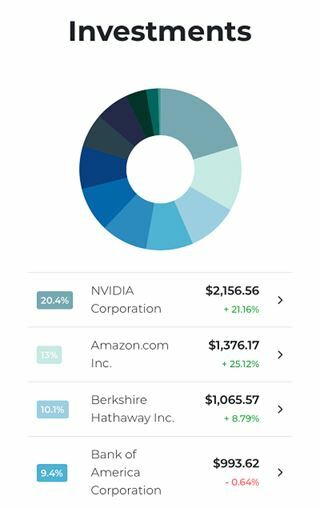 When you log in to Hatch, you can view all the shares and ETFs holdings you own, as well as their respective market prices. You can also download monthly account statements. "Hatch Invest provides access to over 2,700 companies and over 450 ETFs (Vanguard, BlackRock, Invesco, State Street) that are listed on the NYSE and NASDAQ via our US regulated broker-dealer. The shares are priced over $1 and companies have a minimum market cap of $1B". "Hatch gives you access to full and fractional shares in individual companies and Exchange Traded Funds (ETFs) listed on the US share markets". Yes, currently 3,242 investment options exist and are helpfully categorised by industry, specifically Biotech, Communications, Construction, Consumer goods, Energy, Entertainment, Finance, Healthcare, Industrial, Manufacturing, Minerals & mining, Real Estate, Retail & fashion, Space and exploration, Technology, Transport and Utilities. "To simplify investing for New Zealanders by giving them access to tools and products they need to build their financial futures. We’ll start by giving savvy investors access to the US share markets". Yes, while Hatch is a bit thin on 'tools', it certainly lives up to its marketing when it comes to open access to US shares. 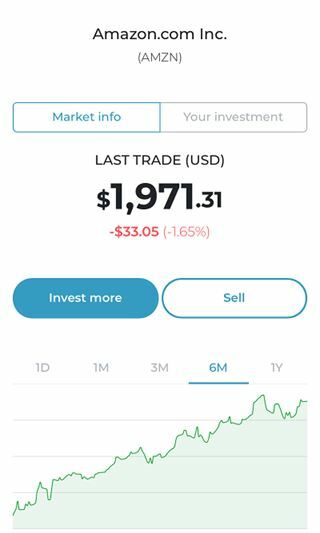 Hatch started in 2018 – can I trust it, and is it safe for me to invest? Trading platforms come and go, so it's perfectly reasonable to be cautious about investing overseas with a platform that is new to the market. The good news is that Hatch is 100% owned by Kiwi Wealth Ltd, which is a sister company of Kiwibank. Both are members of the Kiwi Group Holdings. The other important factor is that despite the pedigree of its underlying owner, the shares you purchase are ultimately held by overseas institutions, specifically a Chinese bank. Moreover, Hatch is not registered as a 'financial product' by the New Zealand Financial Markets Authority due to the fact it only provides access to trading opportunities in the US Share markets. Specifically, Hatch partners with DriveWealth, a broker-dealer regulated by FINRA (the Financial Industry Regulatory Authority), which is similar to the FMA although it is a private corporation (not a government organisation) and acts as a self-regulatory organisation (i.e. federal laws do not govern it). Confusing matters slightly, Drivewealth does not hold your securities - the ICBC FS (the Industrial and Commercial Bank of China Financial Services LLC, one of the largest banks in the world and 70% owned by the Chinese government) does. Hatch is clear in saying you own your shares, but your name does not appear on a share certificate like it would if you purchased shares on the NZX. In summary, Hatch or its parent company Kiwi Wealth Ltd does not hold your shares and investors must be comfortable relying on Hatch's partners who do. "​Hatch’s point of difference is that it enables investors to buy portions of expensive shares like those of Berkshire Hathaway, which at the time of writing were priced at US$328,500. So instead of an investor going out and saying, ‘I want to buy X number of shares in Company X.’ they can say, ‘I want to invest X amount of dollars in Company X. Hatch doesn’t require a minimum investment. However its fee structure is such that it’s more economic to make larger trades". Hatch gives easy access to (Shares) and Exchange Traded Funds (ETFs) on the US markets. While it has been easy for many years to buy books online, the same had not been true of shares. "The online platform is targeted at existing investors who want control over where their money goes and have the time, interest and knowledge to manage their investments. The transaction can all be done online via an app through a mobile phone or desktop once a person has signed up for the service". Hatch beats ASB Securities and ANZ Securities hands down for US share market purchases, but is not as competitive as Interactive Brokers. ASB Securities - US share trades incur a 0.80% brokerage fee (with a minimum of US$50 per trade, plus agency fee of 0.4% with a minimum of US$40 per trade for orders up to US$50,000). The FX fees are around 1.50% on the spot rate per our ASB Securities review. ANZ Securities - US share trades incur a 0.6% or US$69.50 brokerage fee (whichever is greater), then a US$500 minimum order value. The FX fees are around 1.50% on the spot rate per our ANZ Securities review. There are a number of US and global ETF options available to New Zealand investors without the need to translate NZD into USD. Many also have the benefit of offering currency hedging. See Sharesies, Superlife, InvestNow or Simplicity as examples. Hatch is a financial platform and does not offer anything further than general guidance on tax and trading basics on its website. Hatch is not a financial adviser either. Hatch makes this clear on their website: "Hatch customers are prepared to do the research and take charge of their own financial education. They’re keen to learn as they go to be able to make better investment decisions themselves. They’re going to have to, because we’re not providing advice. Not one bit of it". Hatch has picked the Federated Investors Money Market Fund for its overnight sweeping, meaning funds not invested will earn interest in a low-risk cash deposit offering an annual pre-tax return of around 1.00%. The fund is rated AAA by Standard & Poor's, Moody's and Fitch.​ This is vastly superior than ASB Securities which offers 0% on uninvested funds. ​If you've received an overseas dividend, it will be paid into your USD account. You can then decide to reinvest the sum or withdraw it into NZD. Unlike other platforms, and specifically ANZ Securities, selling investments does not trigger an automated conversion of the USD balance into NZD. This means investors can reinvest the balance or wait until the exchange rate is more favourable to make the conversion into NZD. Hatch is an initiative from Kiwi Wealth, a member of the Kiwibank Group and has the funding behind it to not only support it through its entry into the market but also develop new features. In time it is hoped that the fees will fall as Hatch attracts new investors and trading volumes grow. Do you have an experience with Hatch you would like to share with our readers? Email our research team who would be delighted to hear from you.